You are Samantha (aka Sam), a lonely girl who recently lost her mother and lives with her father. They’re both trying to recover from this tragic event, but it has taken a toll on their relationship. One not so ordinary day, Sam wakes up from a terrible nightmare and gets ready to go to school. She gets on the bus and arrives at the school building. But, something is off. There is nobody inside. It looks like everybody disappeared. You meet Ethan, another student and suddenly, you’re attacked by a monster. Where did it come from? Where did everybody go? And why you feel like somebody is watching your every move? 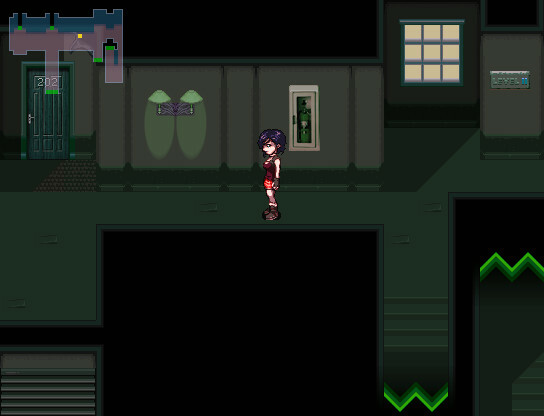 This is the beginning of the Darkblood Chronicles, an RPG game made with the RPG maker engine. But, it would be wrong to compare this game with most of the games made with this engine. The game visuals are one of the best I’ve ever encountered in an RPG game. The characters are extremely well made, large animated sprites and very detailed. The environments are also excellent. You visit very different places through out the game. Among them are the school building, a monastery, a desert like place called War Zone, an apartment complex and an ancient temple dedicated to Ares, the God of War. The music is very atmospheric and it’s suitable with every scene of the game. When you are in Nova’s castle, you hear a soft, ambient music and when you are in the War Zone, you hear no sound at all. It expresses the desolation you see around you. The effects of the game are exceptional. The sound of the crackling fire, the opening of a heavy door, the sound when a blacksmith is forging a sword. The gameplay is not very typical for this kind of game. 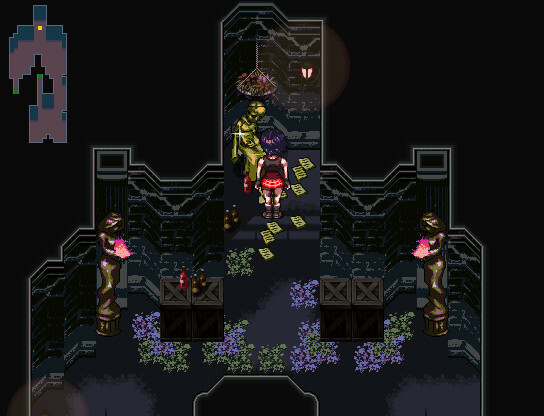 The usual is that you fight enemies, equip weapons, armor, accessories and come across chests, puzzles to be solved and hidden secrets most of the game areas have. Enemy encounters are visible and once killed, they do not respawn. But, you don’t have your every RPG game save game menu. Since you are a book worm and an avid pictomancer, early in the game, you find a book, and if you want to save your game, you open the book and you either save your game or you visit Ophelia’s realm. The depiction of Ophelia’s haven is amazing! Sam has the ability to draw a picture and come to life! That will help you in fights, boost your stats in battle and as you evolve your drawing skills, “make” powerful objects, weapons and armor you and your companions use. You can equip warrior souls you find and will help her boost her stats and give her temporary powers and skills you can use. Later in the game, you can enchant three of these souls, so you can have a permanent effect of their powers. The game will take up to 20 hours of gameplay and it’s quite enjoyable. But, what makes Darkblood Chronicles a game worth playing? I would say the good story telling, the evolving characters, the high replayability (the game has 5 different endings), the difficulty level (it’s not an easy game, but it’s rewarding to play and to plan strategies to win some enemies). So, get ready to immerse to this wonderful dark adventure.